Posted in: Monthly Updates, Weekly Post. Not a whole lot to go over. Savings: This went down a little bit just due to house stuff. It will be going back up here shortly. 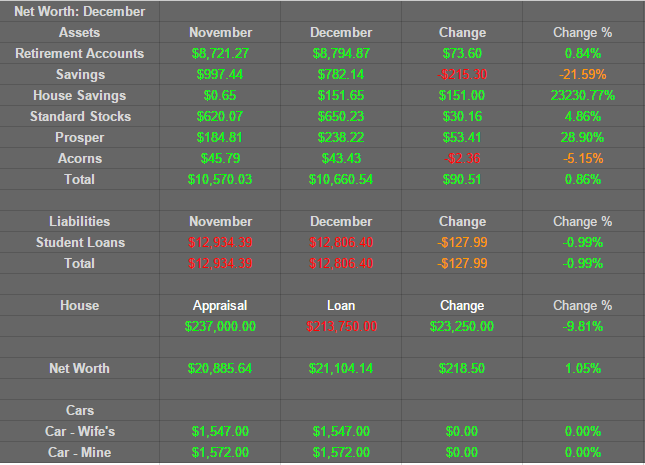 House Savings: We are going to be putting a little away each month to start saving for a new house when that time comes. Other than that, it’s the same ole same ole.